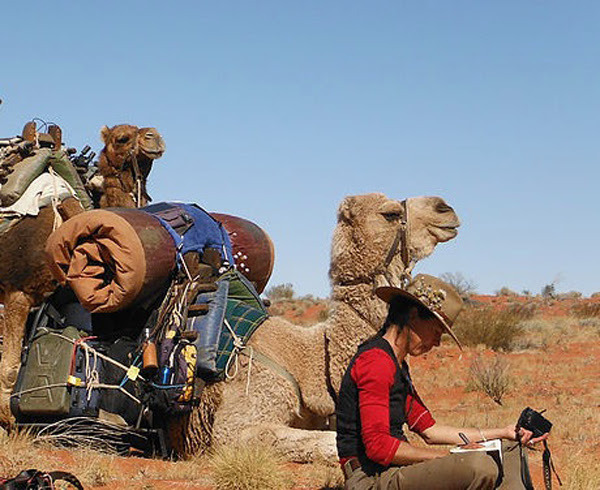 In conjunction with Camel Treks Australia, we have customised a 4 day painting adventure with Australia's desert queen, Jo Bertini. Setting out early from Adelaide our bus will transport us to Hawker where the camels will be packed and ready to take us to the heart of the Flinders Ranges. Each day you may choose to ride the humble camel or walk along at a gentle pace as we follow the well worn tracks that reveal spectacular gorges, sheltered creeks lined with river red gums, abundant wildlife and spectacular views of the rugged mountains. We will record what we see taking photos and sketching at every opportunity and have time during the longer stops for painting. Sleeping under the southern stars in a comfortable swag and gazing at the night sky will be a first for most as we leave all our cares and modern technology behind. You will find the experience exhilarating.